Multi chart view on popped out charts. 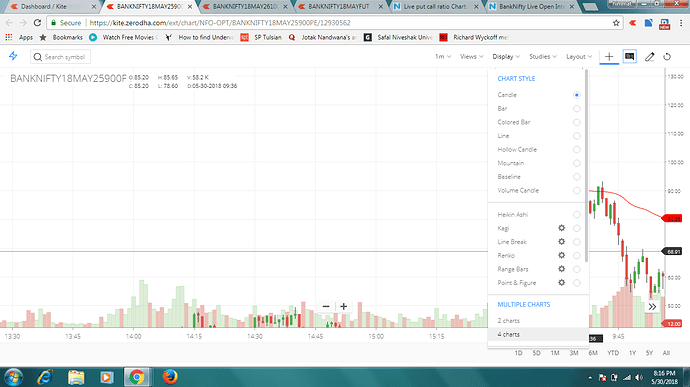 I mean to say one window with multiple charts display, like the one being displayed by fyers.in brokerage. Check the above image. This is good feature I badly wanted. Thanks Zerodha. Mine too, all indicators are gone which makes it useless, any way out? 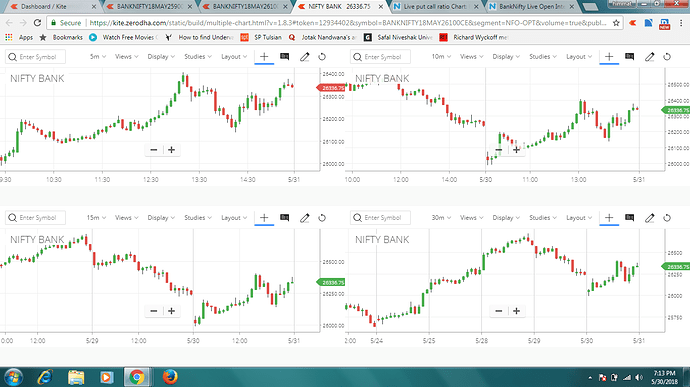 We are able to open four stock charts in the same web platform in Zerodha. My question is how to open Nifty50 and Banknifty also among the other stock charts in the same platform. Please help me to open the same.